Wow.They are all stunners. What's in the water? !They can actually pass as blood sisters.I love their World, and Earth delegates. judahboodah wrote: Wow.They are all stunners. What's in the water? !They can actually pass as blood sisters.I love their World, and Earth delegates. She ha s a potential....Beautiful. She is so beautiful, wicked smart, sweet and more. Her body, her face, profile.. All wonderful. But her smile, it brightens up the room. She should have been miss universe for sure. She is not an attention seeker. She is confident but mature, so it is not invasive. She would never be rude on purpose. Another winner would not give her the mic in one show, that person is rude. Not going to name names. She is unaware of her potential in the looks depo. If she was aware of it she would have been a tie with acalya maybe. But acalya doesnt have dimples which make her seem older and more fitting as first place. I just think she is great on so many levels. She should represent turkey not just in catwalks or tv shows but in future scientific findings and leadership. She is definitely a natural leader. Go ilknur. 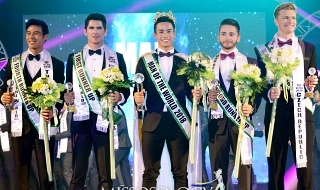 I have not seen the competitors of miss earth but as you know not the best always wins. Just have fun, you are going to do a great job representing us no doubt. Smile away!! Dont worry about winning. Just win the young minds of turkey. Especially bright females who intend to devote time to education rather than superficial things. Excited to hear more about you in the future! turkey is serious in ME unlike many other countries..they send gorgeous ladies every year even if they are always snubbed in miss earth. 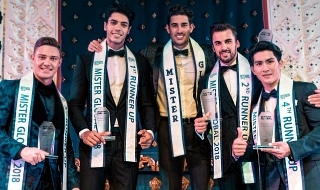 imagine in turkey the miss earth delegate is crowned along side other winners unlike in venezuela where they are obviously just runners up and in ecuador where they are just appointed? please pelase allow her to win! imagine 5' 11" ? 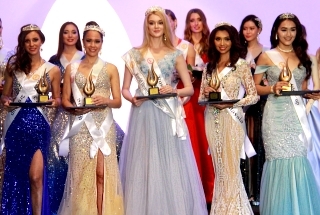 and its going to be unique if she wins coz she is middle eastern, someone miss earth havent crowned..